The opposition Movement for Democratic Change (MDC) is set to challenge convictions handed down against the more than 160 protesters arrested in connection with the January 14-16 national shutdown. 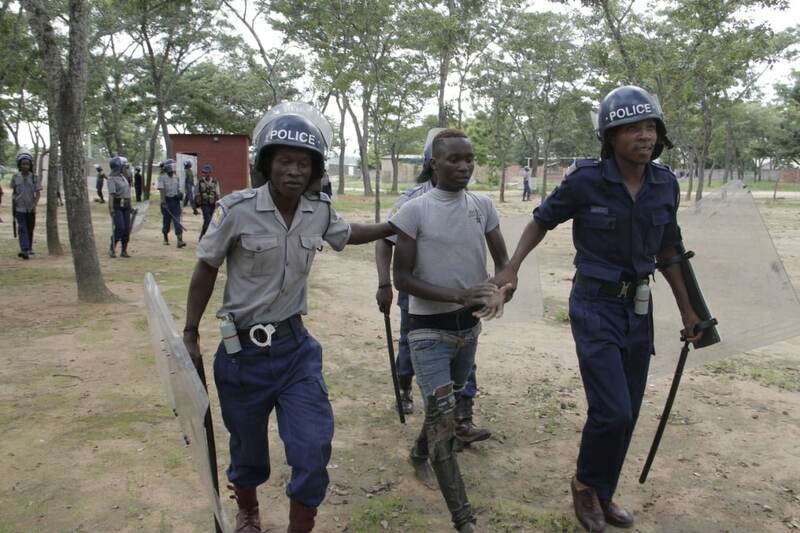 More than 1000 people were arrested following violent protests that broke out in Harare, Bulawayo and other parts of the country. Party spokesperson Jacob Mafume told 263Chat his party will appeal against convictions and sentences, saying those people were wrongly convicted. “We have lawyers, who are doing appeals. We are very clear that the party members who have been convicted have been wrongly convicted. The judiciary has created for the first time after independence and after gukurahundi prisoners of conscience. These are prisoners of conscience, and they should be declared as such. They have just been convicted simple because they are members of the MDC they were taken from their homes, done in trials that don’t not meet the standards of fair trial and convicted to sentences that are outrageous,” he said. The courts passed heavy jail sentences on the arrested protesters with some getting upto seven years behind bars, a move the MDC believes is a political weapon deliberately designed to decimate the opposition. “People who have been convicted of obstructing a road are being sent to seven years in prison. “A person having been found with a chicken has been convicted for seven years, but rapists, murderers, corrupt leaders and all sorts of all people have not been convicted. This is the worst judiciary that we have ever heard as a country. They are using a system of designated courts which are courts that are specially designed to be cruel, to be oppressive and to be unfair what we call command justice, it is command injustice. There is an excitement in the judiciary to reflect a government cruelty. It’s a sadistic affinity towards being cruel against fellow citizens,” added Mafume. The fast tracked convictions and sentencing have attracted wide condemnation from local and international community who believe they are targeted against opposition members. The United States embassy in Harare yesterday raised concern over the harassment and targeted arrests of civil society leaders saying it damages the country’s reputation. “Harassment and targeted arrests of civil society leaders damage Zimbabwe’s reputation and economic future. We call on the Zimbabwean government to uphold its constitution, protect human rights, and foster an environment where all can contribute to the nation’s progress,” wrote the US Embassy on its official Twitter account.